I awake with a question. Is it possible to get gout in an evening? This morning it feels like it is. I enjoyed rather too much rich food and fine wine the evening prior to this post. Meat, cheese and red wine. My mouth liked it but my guts now feel like they are covered in tar. I decide to stop being so dramatic and shake off this hangover with a balst around the patch. I'll review how I feel when I arrive at my first stop, the Nature Ponds at Wirral Country Park. The cycle ride is uneventful. We have swung back to grey on the Dee's colour pallet and the birds seem to have faded away too, nothing stirs much in the hedgerows, my stomach is stirring though and not in a good way. Arrive on site. Review the gut feeling. Hmmmm... bilious. Anyway, on with the plan. A zip around the Nature Ponds. If I'm lucky I'll get a Water Rail skulking in the reeds or a Grey Wagtail bobbing along the bankside. Both would be new for the list, but neither show up today. Ho hum. Onwards to the Dungeon woodland. 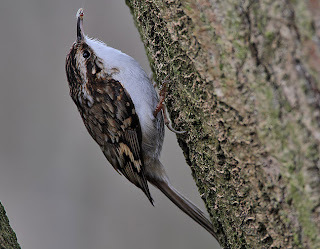 I've not visited it so far this year and I might catch up with Nuthatch or Treecreeper. It's also a fine restorative walk, and I feel in need of it. Although I no longer feel I'm going to be reacquainted with last nights twice roasted lamb shank. Seems all quiet on arrival at the wooded valley. 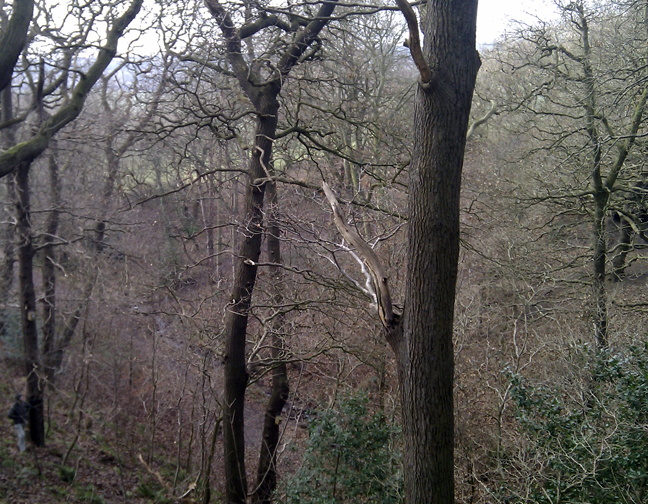 I climb the steps to the bench made from the double tree stump to take in the rather fine view. The farmland rolls down to the cliffs and on to the shore of the Dee. The Welsh hills are misty in the backgound, just a suggestion of land. If you walk inland from here you get to the waterfall, flowing quite well today. Stepping over it you get to a sketchy path up around the side of the valley. I wouldn't recommend you take it, as it is a little precipitous. I follow it around a settle down in one of my favourite watcpoints. From here there is nothing to indicate that it is 2011. You can't hear the nearby A540 and there is nothing but trees in view. A Buzzard soars over. Next a Raven "gronks" past. Fieldfares "chak" from the adjacent field. Berry crop gone it's worms on the menu for them and the quieter, timid Redwings. All is quiet in the woods. A flick of movement catches my eye, binocs up and home in on the motion. 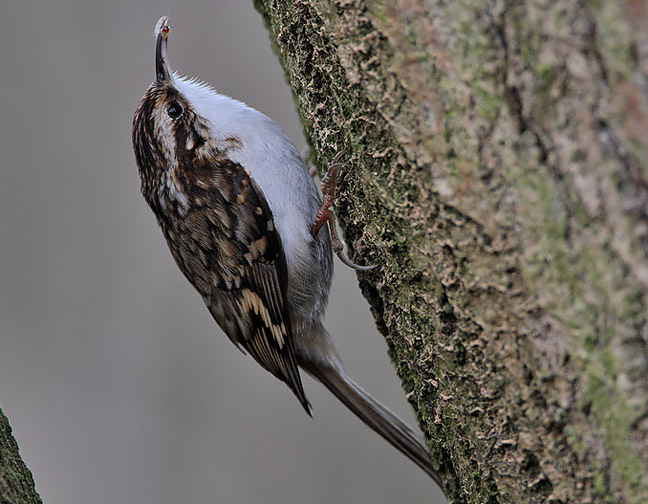 Yes, it's a Treecreeper two trees down. Cool. I watch it flit up the trunk. I end up watching it for 30 minutes in all. The inconspicuous bird of the woods id fascinating if watched for a while. It drops down to the next tree and starts it's hunt for more bugs. I can see it tilt it's head to peer into the gnarley bark looking for food. It is meticulous in it's search and riveting to watch. It is oblivious to my presence, hunched as I am in the leaf litter and I get to watch it forage uninhibited. Awesome. Sounds daft but it was. The skill and patience was quite amazing. On to the next tree, very close now, and I can see the sharp hooked bill slip into the cracks and extracate an unfortunate insect. 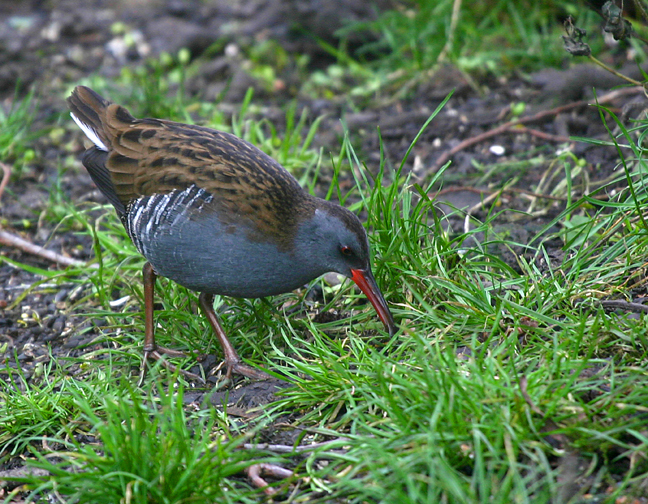 The plumage is really attractive too. Golden flecks on a background of brown. Streaks on its back leading to two stiff tail feathers used to sure it up against the tree. It creeps higher and higher, out along a branch then over my head and out of sight. Magic monent, and I start the journey home feeling good. I realise that all feelings of over indugence, hangovers and gout have been banished! As you all have noticed that drinking makes you urinate more times than usual. So there is this concept that drinking water helps with the hangover which is not always that effective but it helps a lot indeed. But it is better to have detoxicated since this one has no side effect as this is a natural hangover cure.